Let me tell you something, this is the life that we're given / Hope is drug if you're willing / Don't be a afraid to try / Even when I think it's too hard, I'm breathing as it tears me apart / This is the life for the living... sings Emily Brooke in Life for the Living, a song that could easily define both the essence of who she is and the musical path she has been traveling down. 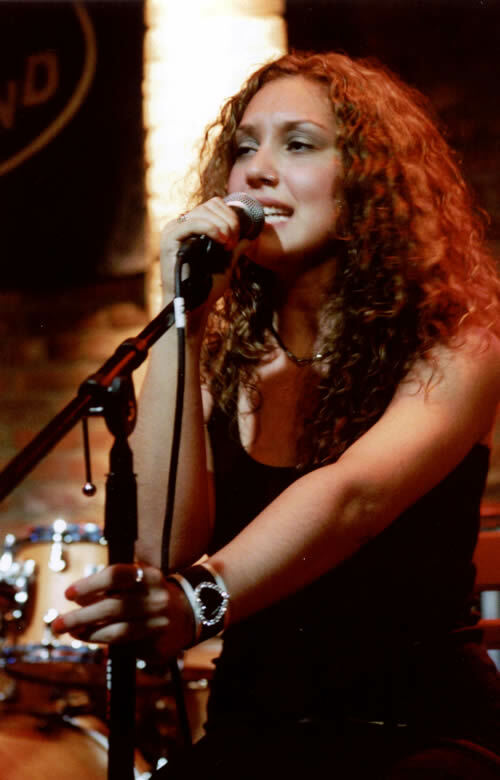 Growing up in the upper middle class New Jersey suburb of Marlboro, Brooke's vocal talent was apparent early on, but it was her love of writing and her desire to overcome personal challenges that brought forth her abilities as a songwriter and performer. "I've always felt like I think differently. In NYC, I totally feel like I fit in because everybody fits in in New York. But, when I was growing up and I started writing, it helped me to write about what I was going through with feeling different than everybody else around me. Of course, every girl says that, but I definitely was the one who was picked on, so I had a lot to overcome, " Brooke begins. "I had a lot of trouble getting through some of these things that had happened in my family and with myself and I found that writing about them truly was the only thing that got me through it. And if I didn't have that, I would still be back there. My favorite thing about songwriting is that when you've finished and you've gotten down what you want to say just perfectly, it's like you can breathe out. You can release it now." Understanding the power of words for both the giver and the receiver, Brooke carefully chooses what she says in her songs. "My lyrics are a lot about dealing with and getting through experiences in life. Life For the Living is about handling life and steering it the way you want it to work out for yourself- the power of being in charge of your own life," she explains about the song that was co-written with the former singer of the Getaway People, Boots Ottestad. " I think all of my songs, even the ones about relationships, are about that." After testing the waters of expressing herself through different musical genres, Brooke has settled on a sound that's her own. "Some people hear a little country in my voice and in the writing. Some people hear it as straight pop. It has a lot of different elements because I just love music for what it is." Currently playing with her band that includes James Cruz, Anthony Johnson and Ben Poe, Brooke says that, "I really like the new set up that I've got with the broken down acoustic band because you can actually hear my words and hear my voice and it works beautifully for the songs. I've trained for so many years with my voice and I've put so much care into each word that I want you to hear it." In May 2008, she is going to be recording an EP at Electric Lady Studios that will be released this summer. Also currently writing with guitarist Kiyanu Kim for a side project, Brooke discovered the value in collaboration early in her career when her former manager set her up with the opportunities to write with Billy Steinberg, who wrote the hits Like A Virgin, and True Colors, Eric Shermerhorn, Iggy Pop's guitarist, and Brian MacCloud, Sheryl Crow's drummer. "Brian told great stories about working with Sheryl and being with her in the very beginning. He gave me a guitar pick that had her name on it that she had used I have never played with it and I will not play with it until I'm playing a huge show-like Madison Square Garden or something. It's a little thing that I'm keeping and holding on to, " she says with a laugh. But, it was working with Meredith Brooks that left Emily Brooke with something that she still draws from. "She had a lot of woman to woman advice and she is a great inspiration for me to this day. Her words stuck with me. She said "the ones that make it never stop, the ones that make it will never give up." Interview originally appeared in IndieSoundsNY (Issue #32 May 2008).